Character ... 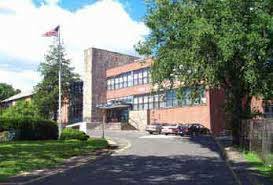 Strength... Focus - these are the key elements for education at Julia A. Stark Elementary School, which is located in the heart of Glenbrook in Stamford. The school has approximately 600 students and in 2015 welcomed Edith Presley as Principal and Joseph Claps as Assistant Principal. Stark follows the Responsive Classroom school model, which focuses on integrating social skills with academic skills, and school wide discipline through use of district leaders, a school-wide discipline policy, all-school meetings, and all-school field trips. The Responsive Classroom Program also includes Morning Meetings, Academic Choice, Guided Discovery, Rules & Logical Consequences, and Home School Communication. Stark also employs Positive Behavioral Instructional Support programs to build a positive school culture. Stark provides many after-school programs including Audubon Club, Broadway Kids Club, Dance, Hands-on Science, Animal Embassy, Sports Clinic, Computer Club, and Young Mariners. High expectations, a rigorous standards-based curriculum, and adherence to best practices create an environment to support student achievement. The staff collaborates to improve student achievement and foster a caring, safe environment. The school is also committed to family-school partnerships. The PTO sponsors many educational and fun events for families. The School Governance Council works to improve communication and enhance family engagement. 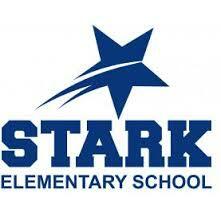 Stark participates in instructional data teams to analyze and monitor student performance. Through these analyses, teachers identify student strengths and weaknesses, discuss strategies and determine a plan of action to increase student achievement. Students in grade 1-5 are invited to attend a before-school program to receive small-group reading intervention. After-school extra help in mathematics is also provided. 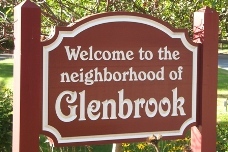 A true neighborhood school in the Glenbrook community!